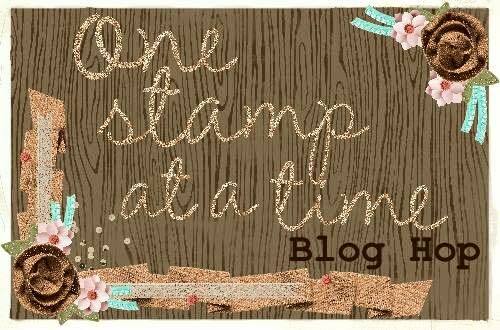 Thanks for joining me for this awesome No Rules Blog Hop from the great group at One Stamp At A time. Don’t forget to scroll to the bottom for a complete supply list, and to click the next button to check out Tina‘s creations. So lets jump right in! I have a video on how to make both my card and project, so don’t forget to check those out. PLUS, there’s a complete supply list at the bottom of the post. I just love all the layers, and I think the dark early espresso borders really make this card pop. Let’s not forget a close up of my favorite flower duo. Now on to my project! I made a Perpetual Calendar. It can be used over and over for many years to come! I hope you enjoy it! I used the card board form the back of two past paper pumpkin kits for the front and back cover. I, of course, couldn’t resist adding some Wink of Stella Glitter to the flowers! 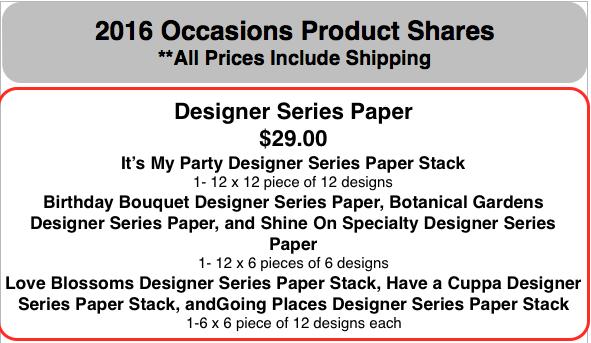 I just love this Wildflower Fields Designer series paper that you can get free with any $50 purchase from Stampin’ Up! Here are the inside pockets. 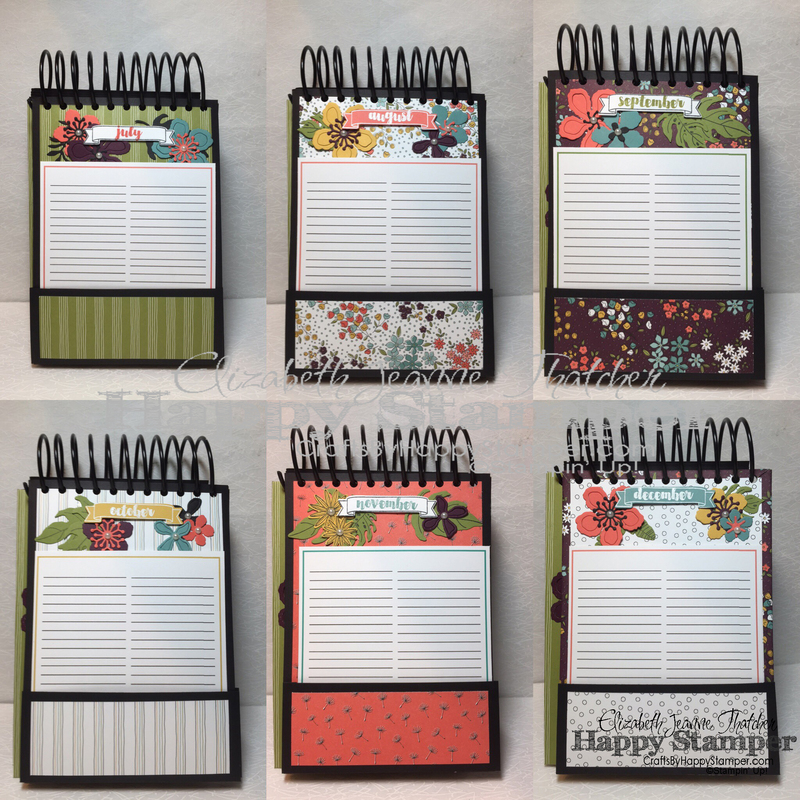 You can not only write or type all of your special dates on these inserts, but there’s enough give in the pockets to include labels or addressed envelopes behind the special date list. You can download the inserts that I used HERE. 8 1/2″ x 6″ (11) Basic Black card stock for months. Don’t forget to check out my video! I sped it up a lot and ended up having to talk REALLY fast at the beginning. I hope that you can still understand me. I used December paper pumpkin stamp set for the months! 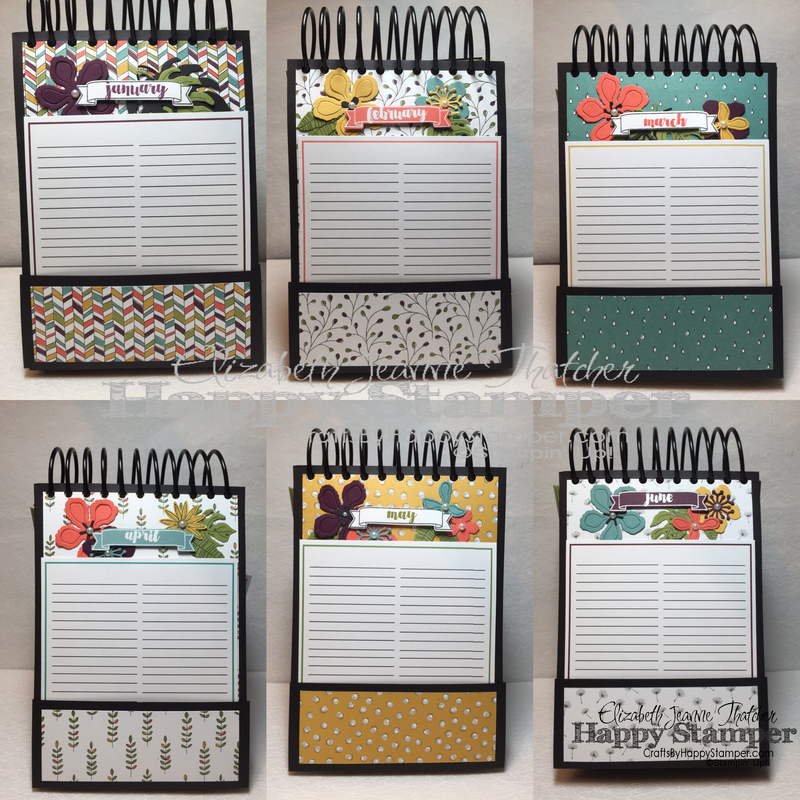 If you don’t have this set, you can use the months from the Perpetual Birthday Calendar Stamp set. There’s a complete supply list at the bottom of this post. Don’t forget to click Next to get to Tina‘s blog. Wow! 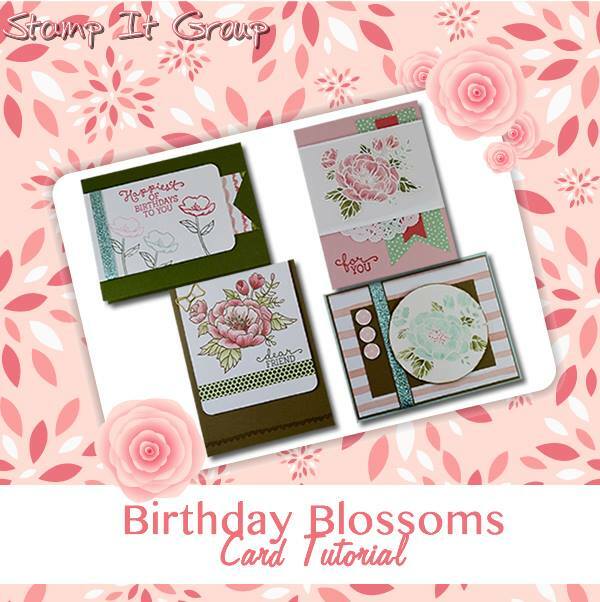 Your card is so beautiful and that perpetual calendar is awesome!!! STUNNING. Love the calendar idea…very clever! Your perpetual calendar is fantastic! I love it! Great projects, Elizabeth!! 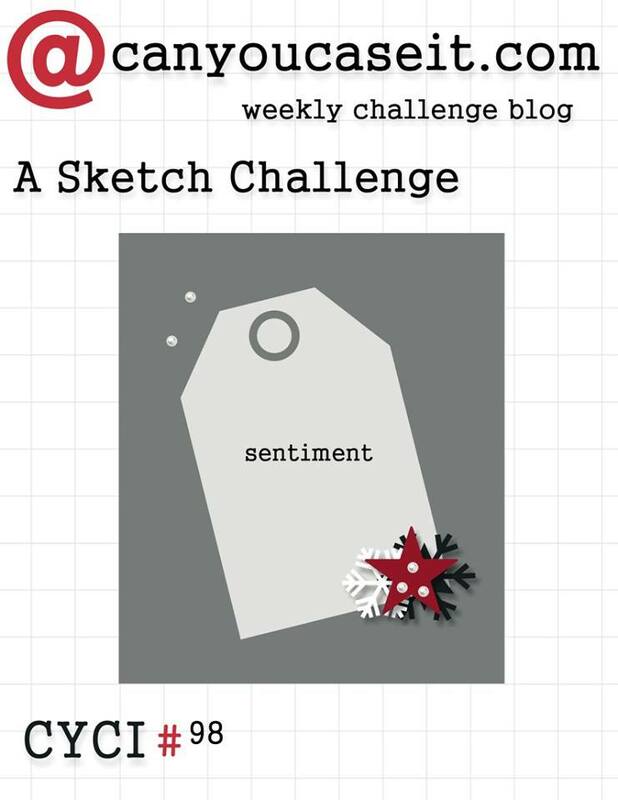 Love your ideas for the calendar! Great job! TFS! I absolutely love your projects. Your card is what made me realize that my Wink of Stella was not working. All I was getting was a white, not shimmery look. I think I got a dud. SU is sending me a new one. Your calendar makes me want to make a new one of these even though I have one. Great, great projects! Your projects are fantastic! 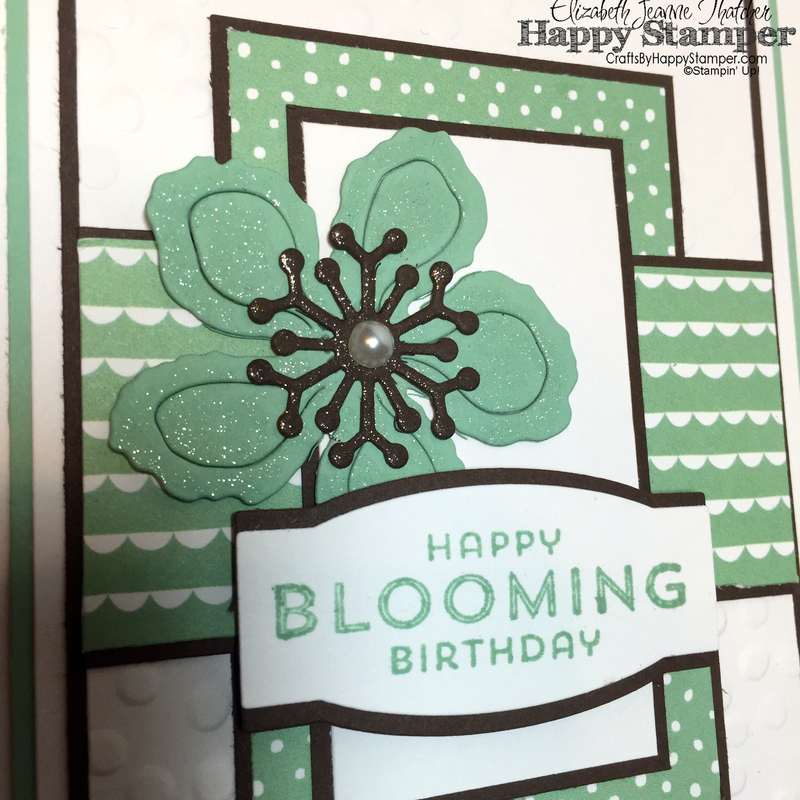 I love the addition of the Wink of Stella on the card – the shimmer is so pretty! 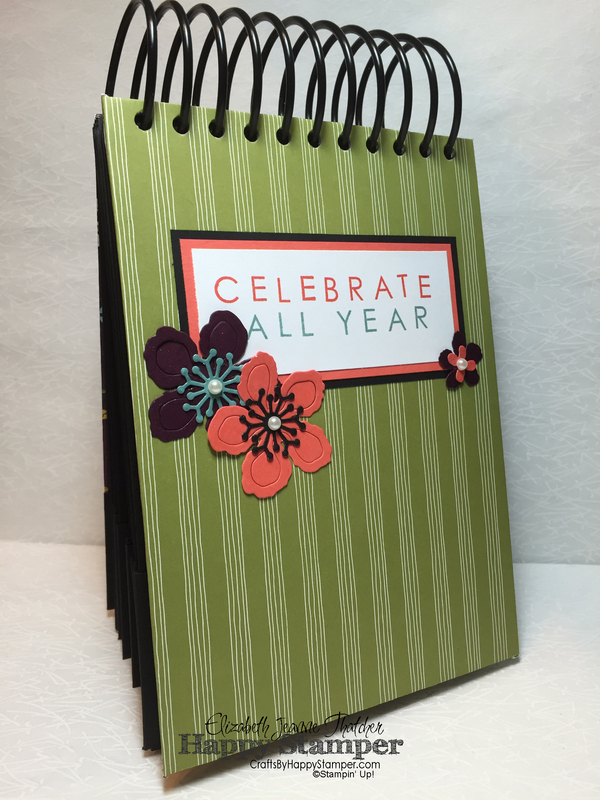 The calendars wold make great gifts for the holidays – thanks for sharing! 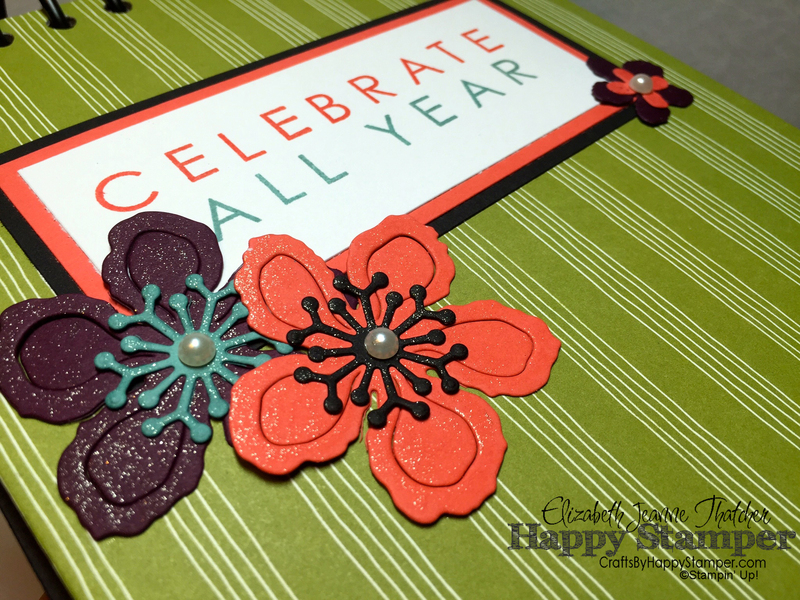 Love the shimmery card, and your calendar using the Paper Pumpkin stamps is amazing! I really love the Calendar idea!!! May just have to make one myself! You always do amazing work!!! Thanks Andrea 🙂 happy you like it! These are both marvelous and thank you for including all the details on the calendar/organizer! I’m going to have to try it!! So fantastic Elizabeth!! 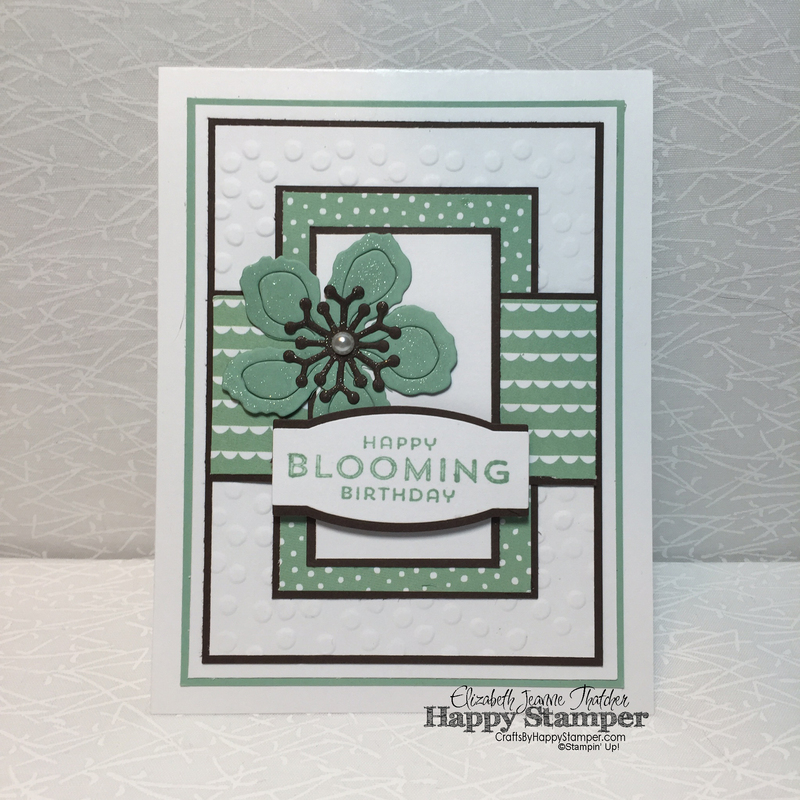 I love your card-so many beautiful layers! How in the world did you do your calendar? Did you collate it yourself? It’s fantastic that you were able to customize the whole thing and it came out beautifully! Thanks 🙂 yes I bound it myself with my cinch! Super easy!